In 1993, Peter Cain and Tony Hopkins published a really important pair of books on the political economy of the British Empire. 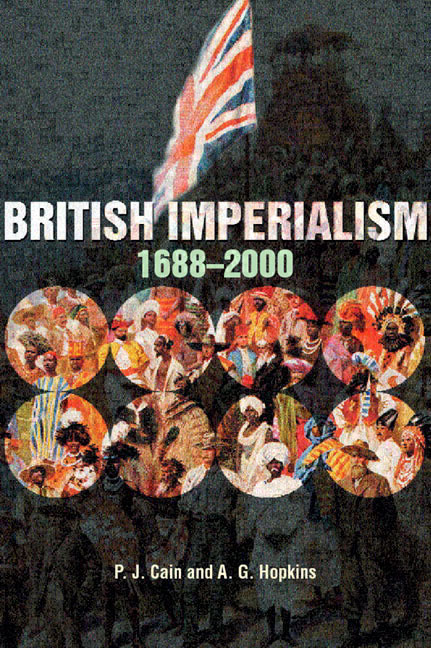 In British Imperialism: Innovation and Expansion, 1688-1914 (London: Longman, 1993 and British Imperialism: Crisis and Deconstruction, 1914-1990 (London: Longman, 1993), Cain and Hopkins advanced a new framework for understanding how the British Empire was run. Which interest groups had the most influence over British policy? Was it Britian’s manufacturers or farmers? According to Cain and Hopkins, the “gentlemanly capitalist” financiers of the City of London were the ones with their hands on the steering wheel. The Cain-Hopkins “gentlemanly capitalist theory” of Empire initiated a lively debate about structural power that engaged scholars around the globe. See Raymond E. Dumett, Gentlemanly Capitalism and British Imperialism: The New Debate on Empire(London: Longman, 1999) and Shigeru Akita, Gentlemanly Capitalism, Imperialism, and Global History (Houndmills, Basingstoke, Hampshire: Palgrave Macmillan, 2002). It also inspired a whole body of historical research by younger scholars. Speaking personaly, I can say that their theory was absolutely fundamental to my 2005 PhD thesis, which was on the role of British gentlemanly capitalists in Canadian Confederation in the 1860s. There are scholars around the globe who owe similar debts to Cain and Hopkins. Chair/Comment:Michael Collins, University College, London. I’m really looking forward to this panel.